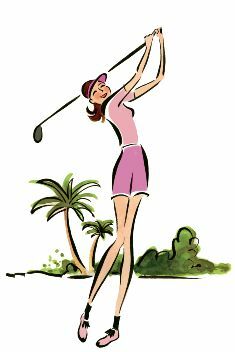 I would highly recommend any woman interested in learning to golf to join the Blackstone Get Golf Ready Beginner's League. The instructors/coaches are welcoming and create a positive learning environment. The coaching is thorough, engaging and personable. I started the “Get Golf Ready” beginners program last year hoping to get a little insight into the game of golf; what I got was much more. Over the course of six months we worked inside on the simulator learning how to grip and swing a club. From there we went outside to learn how to putt, chip and hit balls at the driving range; eventually ending up on the course playing nine holes! Each foursome had their own Pro to work with them week after week so the skills we learned continued to progress throughout the summer. On the personal side of learning to golf, I have met some wonderful women and have made some great friends. When asked to play a round of golf in the past, whether for business or pleasure, I was always hesitant. Now I will jump at the chance! I look forward to playing in the Intermediate Golf League this year and I am eager to learn more about this game we call GOLF.